New Immigrant Community Empowerment (NICE) is a community-based, non-profit organization that works to ensure that new immigrants can build social, political and economic power in their communities and beyond. NICE envisions a world where all people -regardless of status- live and work with dignity and justice. 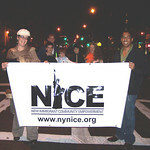 NICE was founded in 1999 when local activists came together in response to anti-immigrant billboards posted by the racist Project USA in the borough of Queens. After launching a successful campaign to take down the billboards, NICE made a name for itself through its Government Access and Accountability Program. The Program worked to institutionalize a uniform system for meaningful dialogue between local government officials and all constituents, regardless of wealth, legal status, or voting history. The organization also worked extensively on post-September 11th hate crime backlash by organizing a hate crime rapid response system, improving the identification and prosecution of hate crimes, and increasing civil rights education and awareness among newcomer communities. NICE consistently managed to mobilize a broad base of immigrants around issues of hate-crime prevention, language access, non-citizen voting, and immigrant civic engagement over the years. 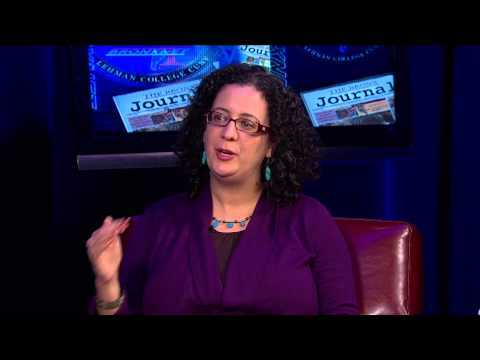 By 2006, NICE made a permanent home in Jackson Heights, Queens and began to deepen its connection with low-wage, recently arrived immigrants in the Western Queens region. After transitioning to a new leadership, NICE expanded its board of directors and developed a new mission and vision. Today, NICE is a community-based, non-profit organization that works to ensure that new immigrants can build social, political and economic power in their communities and beyond. At NICE we envision a world where all people – regardless of immigration status – live and work with dignity and justice. To better achieve our mission, NICE also transitioned into a membership organization. NICE now has a core of committed members, a growing base of support at the community level, and fully incorporated new structures for member and community leadership. With our new membership structure, we are better able to lead our organizing and advocacy efforts in ways that are community led and that prioritize community needs. Our organizing and grassroots advocacy efforts primarily focus on immigrant and workers’ rights, immigrant access and civic engagement.